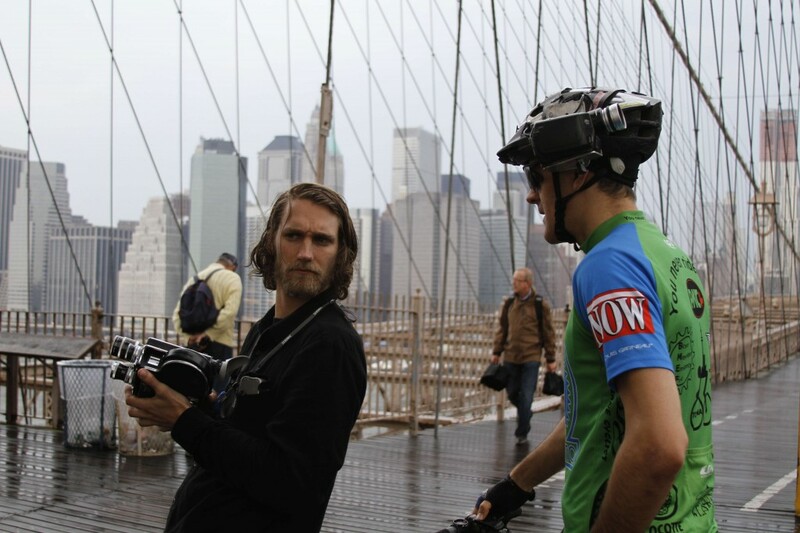 Benny Zenga filming Lucas Brunelle on the Brooklyn Bridge for the making of Line of Sight. Within moments of watching Line of Sight, it is clear that authenticity is not in question. 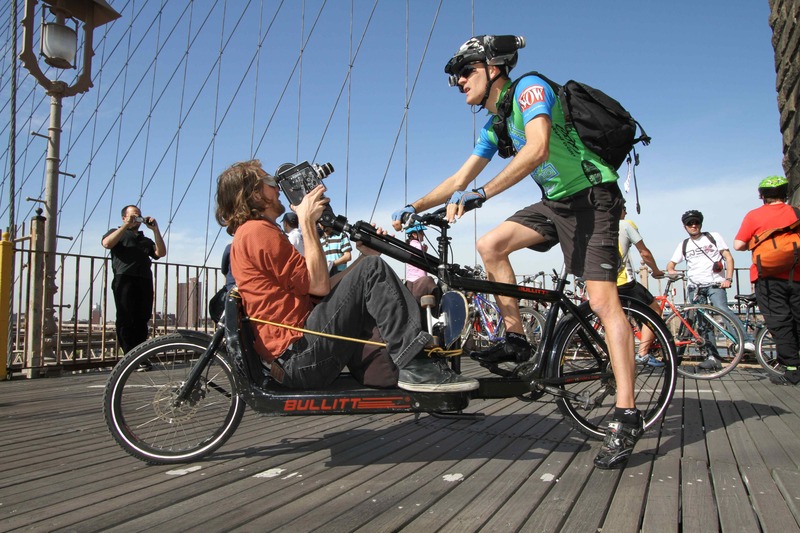 Featuring Lucas Brunelle, and directed by dandy Canadian Benny Zenga, the film chronicles urban bicycle races called "alley cats" around the world. Ten years of footage over 20 countries and 30 cities, most of it from the helmet cameras of Brunelle who has the uncanny ability to keep his head straight ahead when chasing the worlds fastest couriers through busy intersections in big cities like New York and Mexico City. dandyhorse also sat down with Nadir Olivet and John Baker who were part of the Guatemalan portion of the film, sub-titled "Chasing Demons" for a dandyBLOG post. 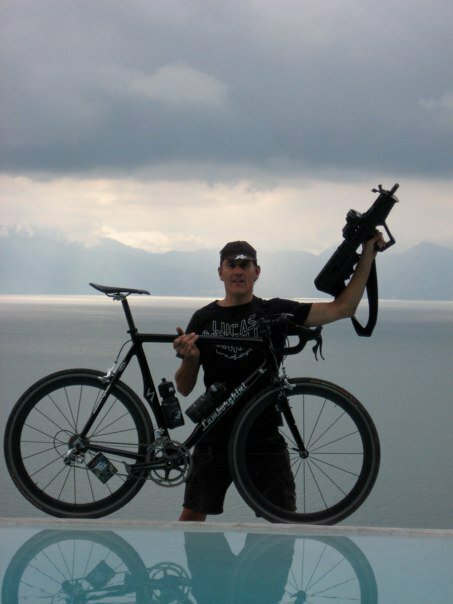 Nadir organized the Cycle Messenger World Championship race in Guatemala that was featured in the film and John was one of the actors in the action sequence "Chasing Demons." View the official trailer for Line Of Sight here. dandyhorse: Was the Guatemalan portion of Line of Sight "Chasing Demons" a dream of yours? What is up with the guns? 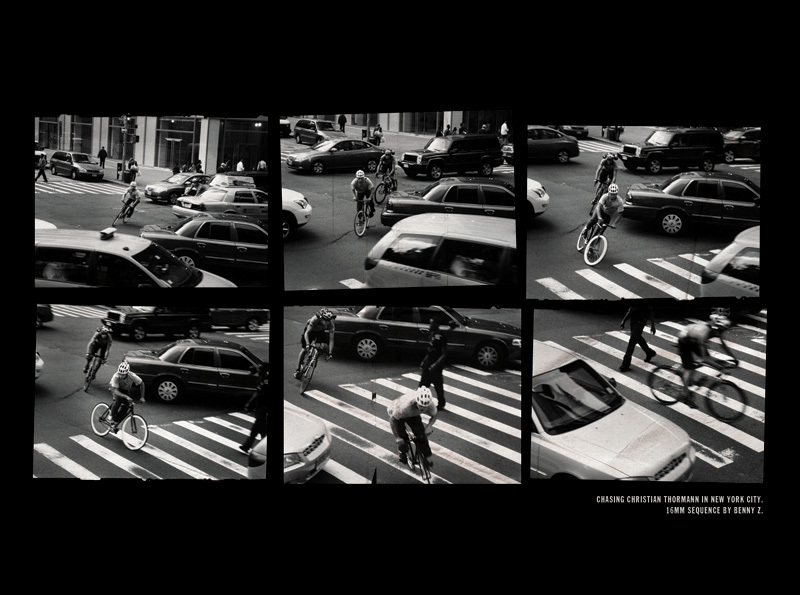 Lucas Brunelle: I filmed "Chasing Demons" because there has never been a good gun chase on bicycles [filmed or on television]. And it’s also a movie within a movie. I collect guns and as a convicted felon stateside I have to be careful, but in Central America I throw caution to the wind. 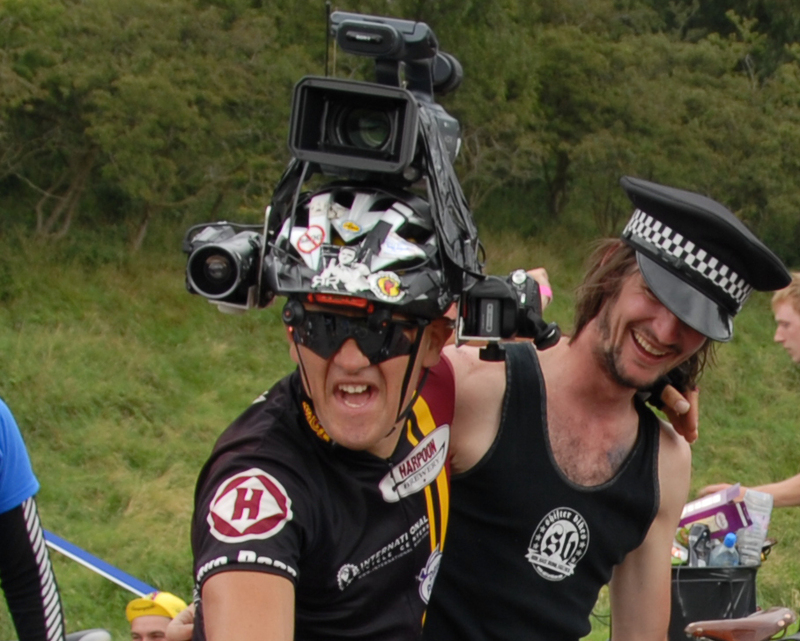 DH: I am amazed at the footage you have - how the h*** did you get involved in this?! Early camera mount with Tupperware attachment. DH: You were a professional cyclist (racer) before, yes? When did you do your first "alley cat"? LB: Yes. 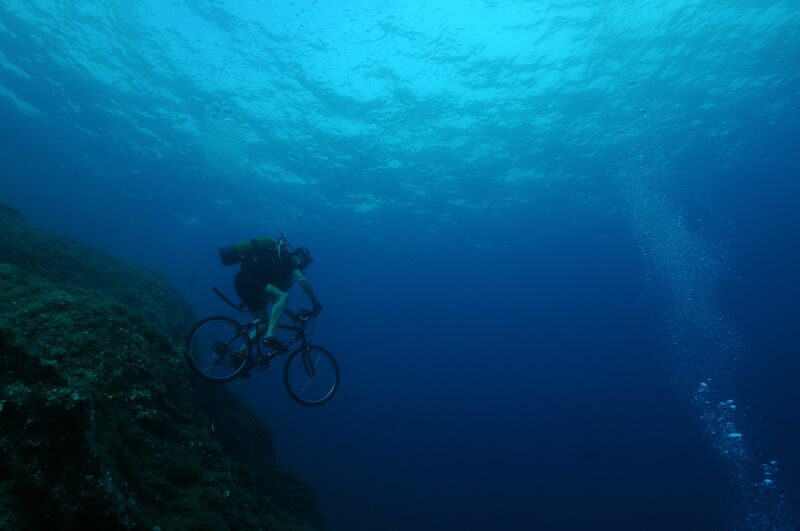 I raced closed course against other pro riders. My first alley cat was in Boston in 1999. I couldn’t believe how challenging and fun it was. I started racing alley cats everywhere that I could after that. DH: Why does your dad say [in the film] that taking risks runs in the family? LB: My dad says that taking risks and breaking rules runs in the family because he and my mom started their business with $.50 of leather scraps and built the business into high fashion retail store with locations all over the country. Taking risks and breaking rules sets you apart from everyone because people are afraid to take big risks and worried about disapproval from others for breaking rules. My dad is long since retired but still takes big risks by sailing in open waters and storms. DH: How do you know your own personal limit? LB: I know my personal limits by approaching them regularly. 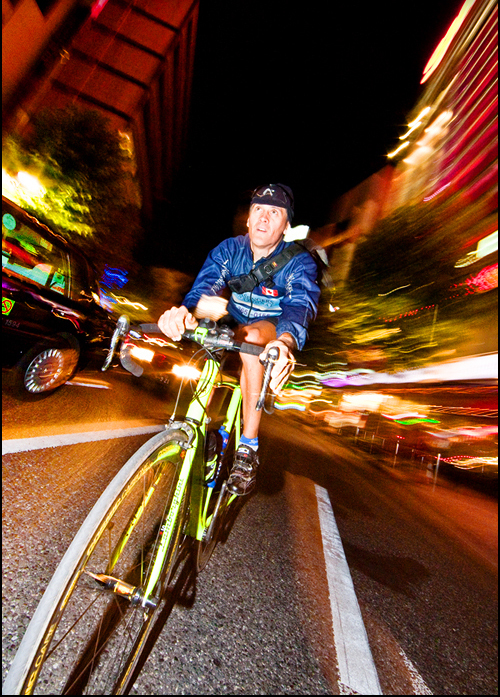 For example I often go 60+ MPH on my bike – the bike gets lighter at this speed and handling is tricky. I know I’m near my limit and keep it there. I know I’ve gone past my personal limit when disaster hits such as an arrest, bankrupted company, etc. DH: Isn't it hard to resist the urge to look left and right when you are riding through an intersection? LB: It is difficult sometimes, yes, but I have trained my periphery vision to be better every year. I can see things way out of the scope of what I used to be able to pick up. 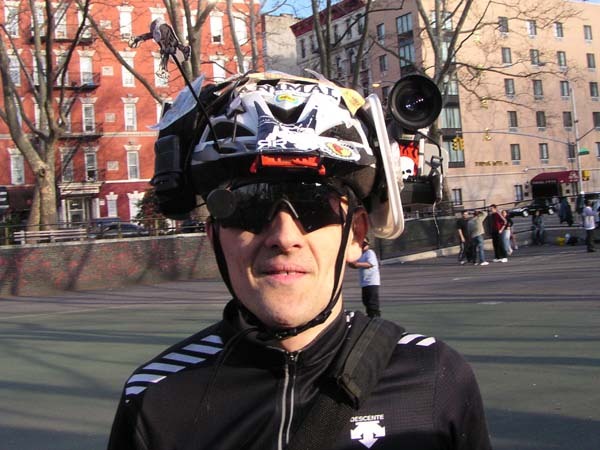 DH: Do you ever wear your helmet cams when you are just riding around doing errands, in traffic? LB: Yes sometimes I do if I’m in a foreign country and there are interesting streets and scenery. 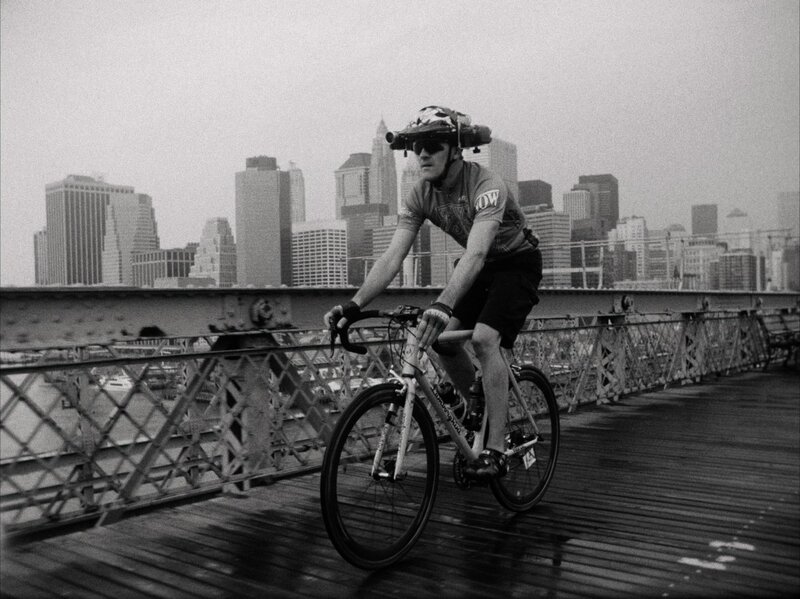 I always have some type of camera on my bike even if it’s something very small on my handlebars. DH: What is it like following Austin Horse? What have you learned from him? LB: Austin’s timing on intersections is amazing, he leaves enough room for error that he never gets into trouble. And he does a really cool sudden lean to change direction that I haven’t seen. DH: What is your favourite city to ride in? LB: Mexico City. The roads here were formed by random planning so that you have the craziest intersections with six different roads forming chaos and a roller coaster like ride. DH: Nadir mentioned you were working on a project together in Mexico City - What is that about? The Mexico City shop is a place that I am helping Nadir set up because the fixed gear and general cycling market in Mexico is about to take off. This is among the top three most amazing places I have ever ridden and it’s getting a lot more bike friendly every day. Thanks Lucas! And Big Thanks for these photos from the making of "Line of Sight"! 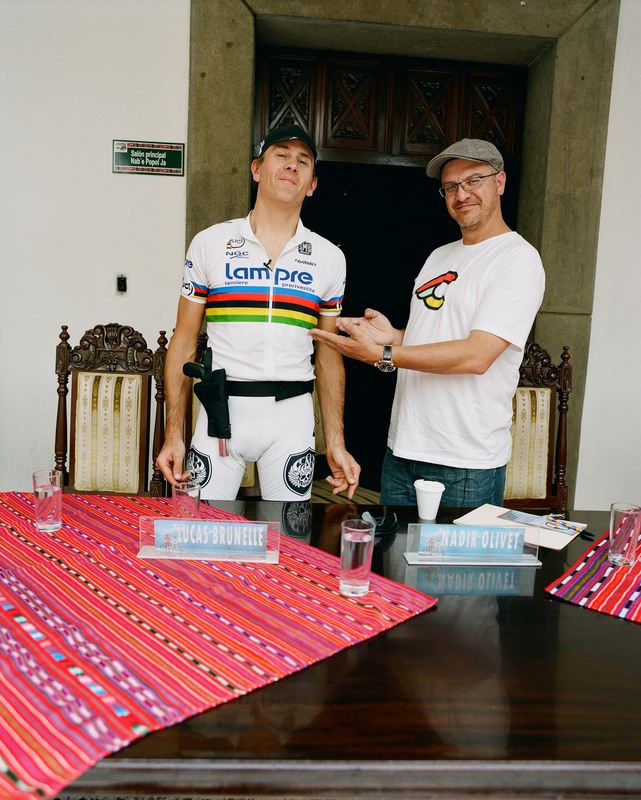 Lucas and Nadir in Guatemala. 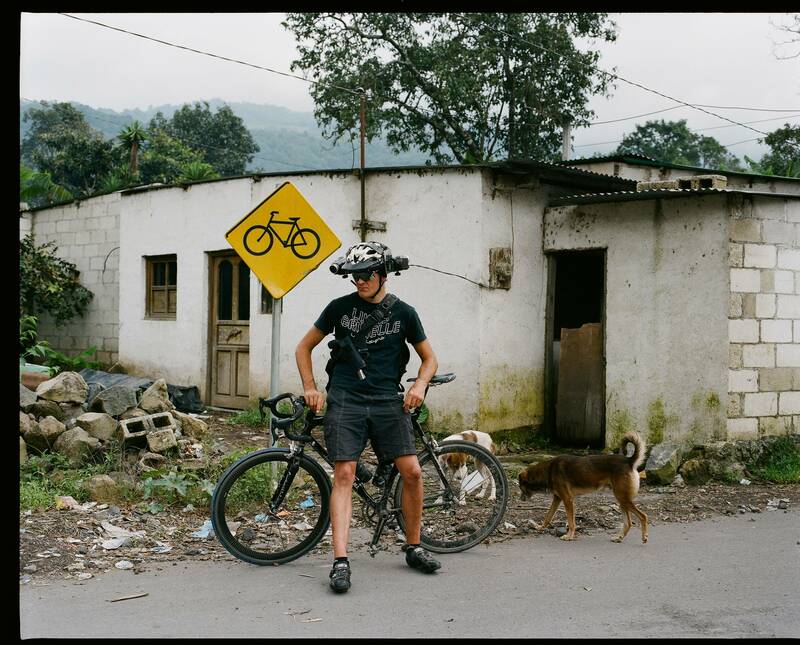 Lucas Brunelle said he wanted to see a good gun fight/chase on bikes and so he shot the "Chasing Demons" portion of Line of Sight in Guatemala. 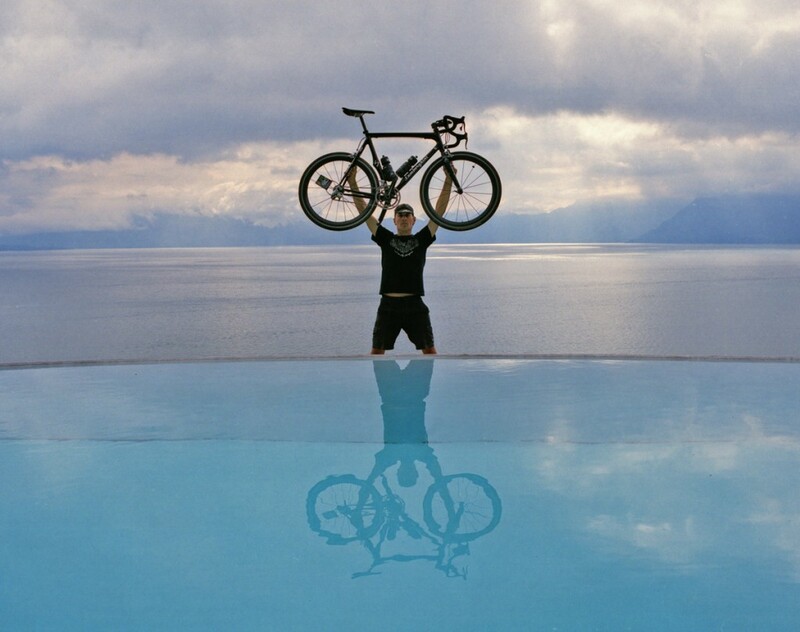 Line of Sight is being featured in the Bicycle Film Festival, which was recently in Hong Kong. View the official trailer for Line Of Sight here. The Winking Circle featuring the Zenga Bros.